As we continue to learn more about the consequences of our environmentally damaging energy sources such as coal and oil, research into new cleaner energy sources is increasing. New innovations over the last decade such as wind and solar energy devices are promising and are being implemented around the globe. However, some do not think this is going to be the power source of the future. A Chinese scientist Song Yunato is a lead scientist on China's largest fusion energy project, and he believes that with his recent advances in artificial sun technology that nuclear fusion energy will be the clean energy of the future. Song recently told Science and Technology Daily that significant progress could be made on artificial sun technology by 2023. He expects that they will double the burn time of man-made sun every sixteen to seventeen months, which could be used to generate clean energy for China in as little as fifty years. Earlier this month the team at their Hefei research facility was able to keep hot plasma at a temperature three times the temperature of the suns core for over one-hundred seconds. This is nearly two times the record they had set the year before. The team’s goal is to maintain the burn for longer than one-thousand seconds, at which time the scientists expect the plasma to produce a self-sustainable nuclear fusion chain reaction. This would be a huge step in order to implement this method as a power generation source. 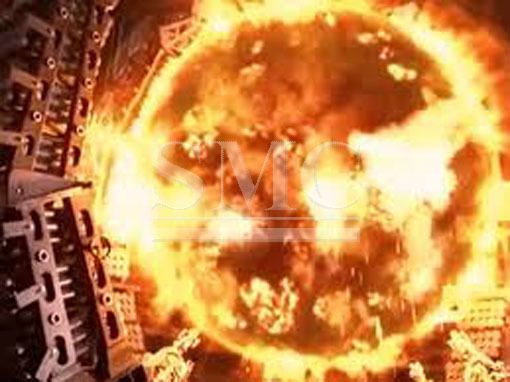 They hope this will be achieved using a ring shaped device known as a tokamak. At the facility in China’s Anhui province, the researchers are basing this idea off of the process that occurs in the sun. This life-giving energy is produced using plasma where two hydrogen atoms combine into a helium atom. This process releases a large amount of energy from the production of extremely hot gas whose temperature can reach ten times that of the suns core. The development of this fusion technology to generate clean energy has been held back due to the the challenges surrounding the controllability of the heat emitted by the process. Due to solar powers limitations, wind powers instability, hydro-power's over-exploitation, and the inevitable uranium ore depletion the world is in search of a new green sustainable energy source. Liu Yuxin, a professor of nuclear physics with Peking University, like Song believes this could be the power source of the future stating, “Hydrogen is the water that fills that fills the oceans. It is an inexhaustible energy source”. It is unclear how soon this energy source will be able to be harnessed, but as the research continues and progress is made, it is clear that this technology has great potential to revolutionize the energy industry.